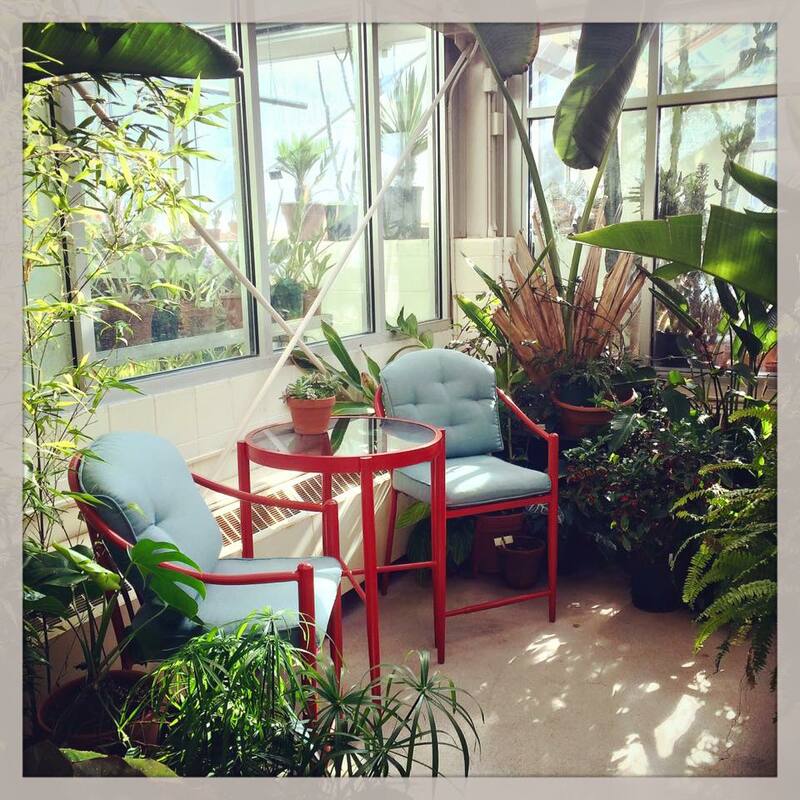 Yesterday, we introduced an upcycled bistro set to the Williams Conservatory. While transforming the boring black table and chairs into bright, energetic pieces was somewhat of an artistic act itself, the holistic goal of this area is to inspire. As I see it, art and science go hand-in-hand. You don’t have to search for obscure reasons for this occurrence; it’s quite obvious. Each can be the other’s inspiration. Nature, one of the most popular realms of science, often serves as inspiration for photographers, sculptors, painters, etc. Contributors to National Geographic use this science daily to create eye-capturing images. There are even individuals that use entomology, the scientific study of insects, to create stunning and unique jewelry with caddisfly (insect order, and a personal favorite: Trichoptera) cases. Although, in this case the science itself is creating art as the caddisfly larvae are supplied with gold, turquoise, pearls, etc. to piece together with their silk…but let’s not take away from the vision of the artist. Not only is science used as the concept, but it is also used in the construction of art with various media. While scientists may not realize it, they too frequent the art domain. Microscopic images, bacterial cultures, robotics, and even fossils can be seen as art if looked at through a creative lens. This same creative lens can be adapted by scientists to produce new innovative ways of thinking. Both art and science function on the generation of ideas and concepts, so it only makes sense that they could be beneficial to one another. The article “To Innovate, Scientists and Engineers Find Inspiration in the Arts” by Reena Jana highlights the resurrection of Renaissance thinking and the positive relationship between art and science. The article also features John Maeda, an artist and president of the Rhode Island School of Design, who feels that art should be incorporated into education by “turning STEM (science, technology, engineering, and math) to STEAM.” Obviously, there are individuals who have experienced the importance of artists collaborating with scientists. With the project of Science Loves Art, we shall add the use of paleobotany, geology, and botany to the list of sciences used to influence the creation of art; with our resulting creations, we aim to ignite the brain with questions of science. It’s a mutualistic relationship. So, with the addition of the vibrant bistro set, the Williams Conservatory hopes to seat both scientists and artists. We gladly invite individuals to study, work, paint, sketch, and relax here. May the warm temperatures and surrounding flora provide an inspirational area where science can prosper and artistic ideas flourish. ← Science and Art… fossils hunting!